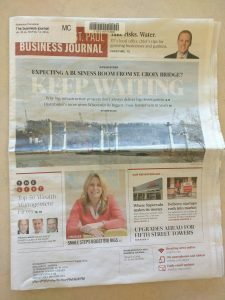 The Business Journal highlighted Dawn Montez’s, owner of Traffic Management, story and business savviness for the Strategies section. 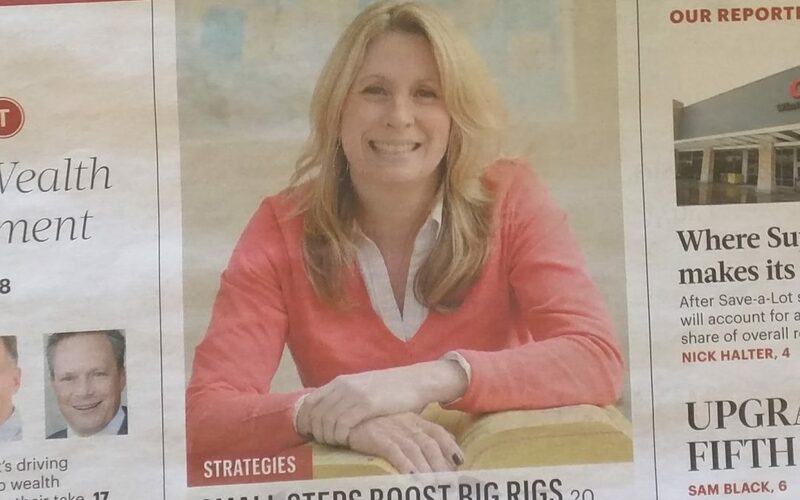 In the article, Small Steps Boost Big Rigs/An old-fashioned strategy proves novel, Montez describes her “overnight success” story….after 10 years in training! 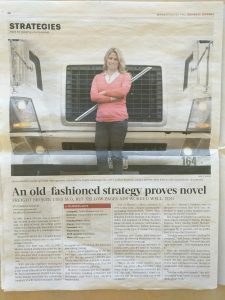 By the time Dawn opened her own company, she had already managed all facets of a freight brokerage, acting as a middleman between trucking companies and businesses that don’t have shipping departments, business from the ground up. She only had to launch her new company, Traffic Management Inc. and ask her many industry contacts for orders. 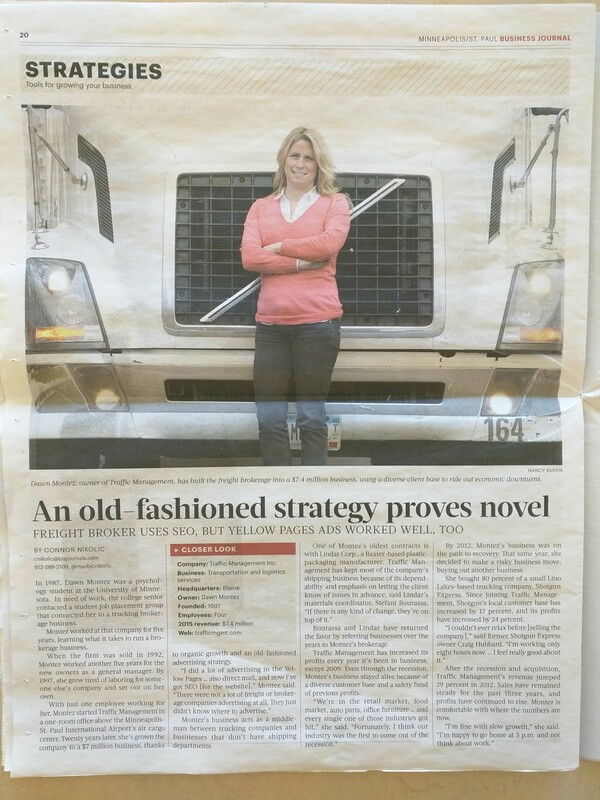 Her basics of success were already cooked into her expertise; a) Correctly quoting a shipment rate b) managing the pickup and delivery c) billing and collecting her receivable promptly! …..THEN: Repeat that formula over and over. Many of Traffic Management’s customers appreciate the dedication to reliable deliveries and transparency and refer Montez’s services to other businesses. A couple of her first customers from 20 years ago are still shipping with Traffic Management today. A job well done! Her formula worked because she asked for more and more responsibility as she moved through her first 10 years as a curious employee while actually prepping for her own debut in 1997. 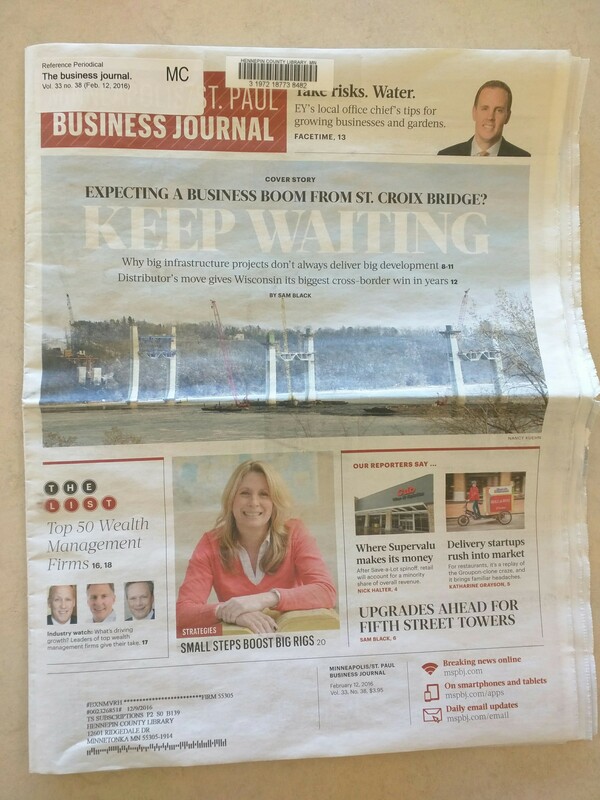 In 2012, she moved to expand by making her first of 2 successful acquisitions. Further growth is now underway was she retains the necessary talent for SEO and research of more acquisitions.